Good corporate governance must encourage innovation to drive productivity, which creates high profits, well-paid employment and social benefits. In a thought-provoking recent lecture to the Institute for Government in London, Andy Haldane, Chief Economist at the Bank of England, discussed the alarming drop in productivity advances in recent decades and its correlation with poor corporate profitability and poor wages. The title of Mr Haldane’s lecture was “Who owns a Company?” and his theme was about the purpose and responsibilities of a company in the current world. The issues he raised were very relevant to our holistic approach to corporate governance with which regular readers will be quite familiar. So it seemed appropriate to consider the big current perceived macro-economic trends – puzzlingly contradictory at first glance – in the context of our five principles of good corporate governance. Mr Haldane pointed to the “secular stagnation”, which the pessimist school of economists predicts will condemn the world to decades of slow growth and stagnant or falling living standards, and contrasted it with the apparent boom in innovation displayed in world-leading companies such as Apple and Google – what Mr Haldane called “secular innovation”. He pointed out that innovative companies (successful ones anyway) were highly profitable and paid their staff well, hence contributing to the pool of social wealth through highly paid (and taxed) employment. At the same time, by creating new industries, they have offset the decline in older industries which technological advances were hitting hard. The problem was that the innovating and market-leading firms in most industries consisted of only a small proportion of the total – by definition, a minority, and, worryingly, a depressingly small minority. His graphs showed a long (forward) tail representing the most successful companies and a very large peak of average and poorly performing companies. Significantly, this curve was closely correlated to the performance of companies within particular regions, with the graph showing a big peak of poor performers and a long, thin forward tail of top-performers. This results in the natural conclusion, borne out by the facts, that those regions with a high number of top-performing companies are much wealthier and with a generally much higher standard of living than those with a much smaller proportion. This then leads to the further conclusion that industrial policy ought logically to focus on encouraging industries to invest to raise innovation and productivity. This would seem to be more likely to lead to a wider regional benefit than policies which simply use financial incentives to encourage companies to relocate to the most deprived regions to raise local employment. Mr Haldane then went on to consider the consequential responsibility of companies to be active in innovating both for their own and for the greater good. However, as has been discussed frequently in recent years, this can lead to a resulting conflict between the desire of some shareholders for short term returns and the need for a long term focus to provide an environment for innovation and long term development of the business. There was some discussion about the role of company law and regulation to drive innovation. For instance the UK Companies Act 2006 refers to the responsibility of boards to consider a wider constituency of stakeholders than those groups of shareholders with purely short term interests, and to pay attention to the long term future of the business, but it doesn’t go into specifics. 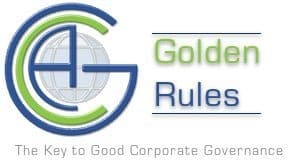 Similarly, the Corporate Governance Code and Stewardship Code stick to general principles and steer well clear of the sort of detailed rules that might appeal to the more obsessive zealots who would like to try to impose their own solutions on owners and boards of companies. The view of the meeting was sceptical about trying to use company law to increase investment in innovation (a charter for bureaucrats) but supportive of the need to encourage innovation in companies generally. What are the management consultants doing? After the puzzle of trying to reconcile secular stagnation with secular innovation, a further puzzle which strikes this author, with his own background, is the apparent lack of widespread adoption of best practice in industries which comes out of Mr Haldane’s researches. In the early part of the 20th Century, the teachings of French mining engineer, Henri Fayol on organisation and the writings of “The Father of Scientific Management”, F W Taylor, on the efficient use of human beings in organisations, led indeed to the widespread adoption of improved working practices. Henry Ford’s production line was duly copied by all the other major automobile manufacturers (those who didn’t went out of business or were taken over). The development of work study and work measurement was the basis of the rapid growth in management consultancy before and after the Second World War and fuelled the steady improvement in productivity in the decades after the War. The last twenty years, has seen the earlier raft of compact, professional firms of consultants grow into a smaller number of behemoths with tens of thousands of employees and revenue in tens of billions of dollars. What are they advising their clients about if productivity has stagnated over that period? Or are they only working for the market leaders? In which case, why have the other 90% made no significant attempt to emulate best practice? Away from the UK, wrestling with poor productivity, Italy has also been struggling. A recent article in the Financial Times by Prof Mariana Mazzucato (paywall), lays the current problems of Italy firmly at the door of poor productivity. Pre-dating the introduction of the Euro, she says, and more important than “corruption, slow bureaucracy and labour market rigidities”, is the “low investment by public and private sectors in the key drivers of productivity: education, research, human capital formation and innovation”. In her article, she compares Italy unfavourably with Germany in terms of the provision of long term capital for innovation by Germany’s public bank, KfW, (a facility lacking in Italy) and the significant links in Germany between science and industry (also lacking in Italy). She suggests that a “subsidy mentality” has grown up in Italy which needs to be changed so that companies focus less on what they can get out of public funds and more on what she calls “transformational opportunities”. Moreover, the imperative of running fiscal surpluses under the Euro regime has militated against public investment and apparently had a knock-on effect on private investment. All of which has had a broadly negative effect on innovation and hence productivity and, by extension, growth. The political implications of the lack of growth in Italy and the countries of the developed world generally have become apparent in recent years. Popular mistrust of established politicians has been accompanied by mistrust of business and business leaders, particularly those seeming to be able to earn huge rewards while the general workforce struggles. Populist parties and politicians have become increasingly influential and business and capitalism have often been an easy target for angry voters. The relevance for us at ACG is, I think, twofold. First is the importance for business generally of thinking very carefully about the continued relevance of a company’s Goal or purpose. Is it still appropriate to the needs of today and tomorrow? The evidence cited above and the conclusions drawn make it clear that companies generally should build into their Goal a long term future for the business and that innovation should figure strongly in that Goal. But secondly, companies should also consider the social benefit that they should be bringing to society, and hence the Public Interest should be seen as a most important stakeholder. Social benefit comes from a company’s longevity, and hence it can be seen as a social obligation to plan for a long term future. Only if business is seen to be consciously addressing its social obligations will it earn back the trust of the general public. 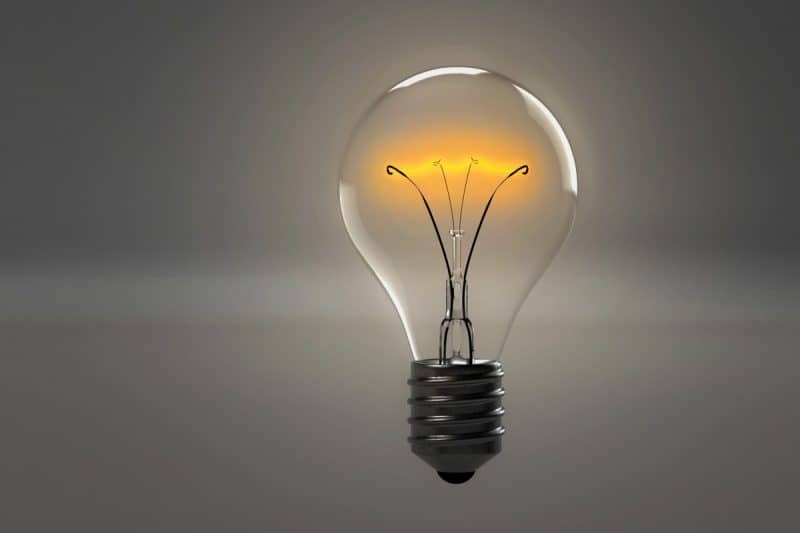 And this almost certainly applies to all businesses, whether or not they deal directly with the public, as in today’s world of instant and worldwide communications, any company or organisation can find itself in the spotlight. And public criticism can lead quickly, in these populist days, to political action. But planning for a long term future implies planning for innovation and investment, which, in turn, implies planning to adapt and change to seize new opportunities in new markets and to plan in good time an exit from declining markets, all the while thinking of the social interest. This clearly demands that boards and management interpret good corporate governance holistically rather than simply by complying with the current Codes. And appropriate communication with the key stakeholder groups is essential to ensure their understanding and acceptance. accountability and transparency: communication with key stakeholders is particularly important when introducing innovative new products and services or embarking on innovative working practices; and clearly, to get the full benefit from plans which are intended to create social benefits, effective communication with the politicians and public is vital. What about the key stakeholders? Each group must be persuaded of the benefits of innovation for the sake of the long term future of the company, especially when the short term impact on that group may not be terribly attractive. For shareholders: the company’s need for funds to support long term investment and innovation may have an impact on the amount of, or even the ability to pay any dividends in the short term, and will surely over-ride any thought of share buy-backs. The benefit to shareholders of the company having a long term future will not interest those who are only concerned with the short term, but they have to be presented with the choice of supporting the company by staying a shareholder or selling their shares and acquiring an interest in an investment more appropriate to their needs. They may also have to accept deferred profits to achieve long term goals. For employees: the board and top management must persuade staff of the need to accept changes for the good of the long term future of the company. Logically, they should therefore plan that staff share in those long term benefits or are appropriately compensated if they can’t, thus easing acceptance of difficult changes. For customers: the most important group of all. It goes without saying that customers need to be convinced that the new products and practices planned are highly desirable (at least to them). This is what good brand management is all about and why an innovative company like Apple has been able both to promote itself as innovative and to build a hugely loyal customer following. The public interest: finally, the public interest ought to be considered and treated as a key stakeholder with interests identified and objectives spelled out, and accountability communicated effectively and transparently to demonstrate how the company is delivering on its promises. And all this will be ineffectual without a regular, independent survey of the stakeholders, structured to feed a corporate governance improvement programme which enables the company to build its brand reputation for innovation, performance and integrity. All in all, innovation and its consequences, improved productivity, growth and wealth generation for the public interest, should now be built into the governance of all responsible companies. 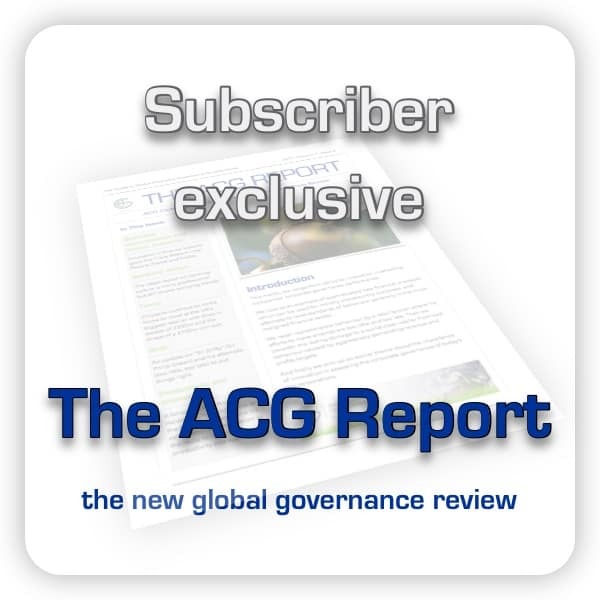 And good governance to generate innovation is holistic and complies with ACG’s five core principles. Is Corporate Social Responsibility (CSR) dead?